Knowledge of a foreign language can widen a person’s horizons and provide them with many new opportunities. 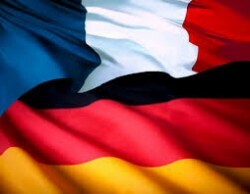 For those who have a passion for communication and an interest in learning about other cultures, then the further study of French or German is a must. Whether students intend to use a foreign language for work, study or leisure, this course will equip them with the necessary skills and knowledge to become proficient linguists. In the first year students will also study a French/German film and in the second year a work of French/German literature. For their oral exam at the end of the second year students will choose their own topic to research relating to the social or cultural context of French/German speaking countries. Some students choose to take a degree in languages, others choose to pursue a different subject but choose a language option alongside it. Having a language at AS or A level will certainly improve a student’s employability, in particular with international companies.